Over the past several years, here in the United States, we have seen a spike in incidents of senseless violence. Random shootings routinely make headlines and each time, the more senseless the acts appear to become. Our hearts ache each time we hear of innocent lives being taken from us by a troubled person who seems intent on causing harm to others. Remember the shootings at Columbine High School in Columbine, Colorado? Remember how much that incident shook us to the core? In hindsight, it seems like that was the beginning of series of random shootings in which the only “wrong” the victims did was being in a place where the shooters were. The more we hear about these incidents, the more deplorable the acts seem. No place seems safe – the workplace, places of worship, schools, shopping malls and political events have all become crime scenes in the most senseless of ways. 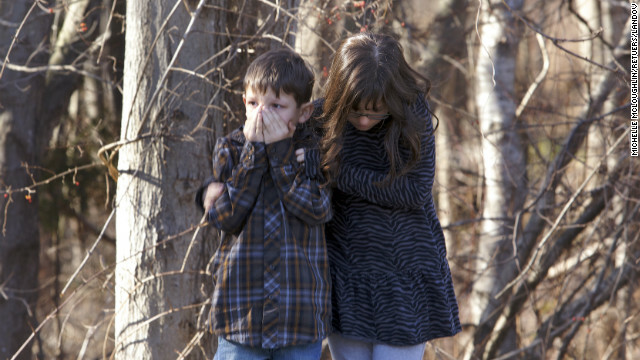 Most recently, in the small community of Newtown, Connecticut, at Sandy Hook Elementary School, 26 people were randomly shot and killed by a lone gunman. Among the dead were 20 students – ages 6 and 7, the school principal, the school psychologist and 4 teachers. In the midst of “the most wonderful time of the year,” the nation paused to mourn the tragic passing of these precious souls. For the families however, there was no pause. Their lives came to screeching halt; instead of planning Christmas dinner and how to decorate their homes for the holidays, they were planning funerals. They probably have a difficult time going near malls or restaurants or places where families gather. Their pain is very real and being around happy, smiling families might be too much for them to handle as they continue to mourn. Their joy turned into sorrow so suddenly and so senselessly. I often try to think about the relevance of current events to the responsibilities of men. I think of how these issues affect our roles as husbands and fathers and then I seek to share words that would spur us to action, as we embrace our roles in our families. I’m very aware of the fact that many kids do not live with their fathers due to a variety of reasons. That might make implementing some of these guidelines I share here a challenge. Still, I believe that whether our kids are physically with us all the time or not, there are things that we can do – and ought to do – to help ensure that their well-being is top priority. As men, first and foremost, we have an obligation to protect our families. Our wives and children depend on us to be providers and protectors. Some might interpret this to mean that we ought to all go out and purchase guns. That’s the least of what I’m saying. The gun-rights issue has its place but that’s not a topic I believe ought to be highlighted on this blog. The gun control debate can be controversial and divisive and I think I can share a positive message on responsible fatherhood without getting into that subject here. I believe we ought to teach our kids that although most of the people they know and love are warm, kind-hearted, genuine and caring, there are some people in the world who are not that way. There are some who cause severe harm to others and take pleasure in wreaking havoc in the lives of the innocent. It is important that we reinforce the message that many of us tell our kids: don’t talk to strangers. Strangers can be warm and kind-hearted but some can also be abductors and killers. Unfortunately, we have gotten to the point where we have to teach kids, whose natural instinct is to trust, not to trust certain others because it could be to their detriment. Another area in which I think we can help our kids is in helping them to recognize potentially dangerous situations. This is particularly important for parents of teens and young adults. I remember how, as a teen I yearned for the freedom to make my own rules and do as I please. When I went off to college, I did just that – made my own rules and did whatever I pleased. I admit that I drank alcohol before reaching the legal drinking age. I partied and had myself a ball. I stayed out late at night – sometimes into the “wee” hours of the morning, not thinking of any potential negative consequences. Now, as a 40 something year old father of a teen daughter and 2 young boys, my perspective is so much different. Did you know that a disproportionate number of fatalities occur in those late hours? If we think about it, it makes logical sense. People are more prone to party, drink and drive at night, particularly on Fridays and Saturdays. Parents of teens and young adults probably spend many a night worrying because of their kids being out because a lot of bad things happen at night. Although many of the shootings we have heard about on the news occurred in the daytime, acts of violence generally occur more at night. 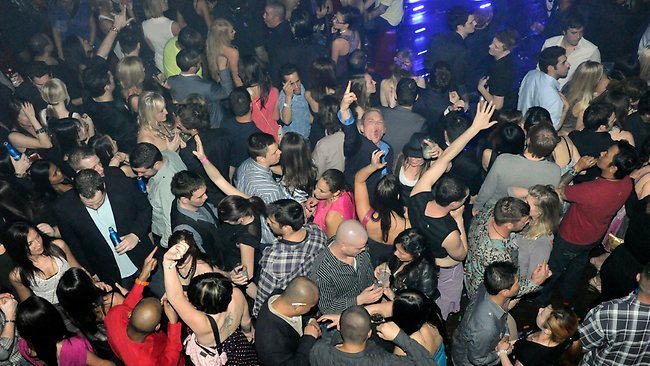 I remember during my late teen/early adult years growing up in Houston, Texas, I’d routinely go to night clubs. At many of those clubs there were shootings at different points. I remember one such shooting occurred at a concert that I attended. It’s hard to imagine that I was so passionate about being in that atmosphere that I really didn’t think I could have been a victim – whether being hit by a stray bullet or otherwise. I believe it’s wise to educate our kids about these issues that are so very real. Perhaps as you read this you can think of different incidents in your own life where you exercised bad judgment and put yourself at risk of also being an innocent victim. 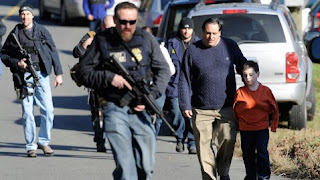 The types of incidents that make headlines are like what happened at Sandy Hook Elementary but far more common are the ones that occur every day that we might only hear about in our local markets, if at all. We owe it to our kids to educate them about the dangers of the world we live in so that they can be cautious as they go about their daily lives. Having said all of this, I recognize that tragedies, such as those that we have become all too familiar with, will occur. 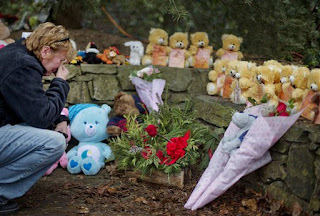 The children of Sandy Hook simply went to school – one that had security measures in place – and still that incident took place. People go to work or to the movie theatre or to the mall or to their places of worship and while minding their own business, they still become innocent victims. As much as we might not like to think about it, each day we put ourselves and our kids in the way of potential harm by simply living normal lives. We cannot entirely eliminate the possibility of being victims of violence. I believe, however, that there are steps we can take to decrease the likelihood of being among those who are either victims or family members of victims of such violence. Collectively we mourn with the families affected by the many incidents of violence that we have become so familiar with. There are things we can control and others we simply can’t. I believe a wise approach is to teach our kids about the dangers of the world we live in and encourage them to avoid situations in which they become more vulnerable to such awful acts. One thing I often say is, “All you can do is all you can do.” Beyond that, we just trust and hope that the steps we take keep us and our families, out of harm’s way as much as possible. Do shower your families with love. And do your best to protect them in all instances. Such is the responsibility of a loving, caring father.